A series of short films from this week’s LOCO London Comedy Festival are currently available to view on their website. The festival, which screened a wide range of comic films, short and long, has put a large batch of the former up for public viewing on their website, and a smattering of them feature TVO regulars. Some of these were already available on Vimeo or YouTube, but this handy curated collection puts them all in one place. 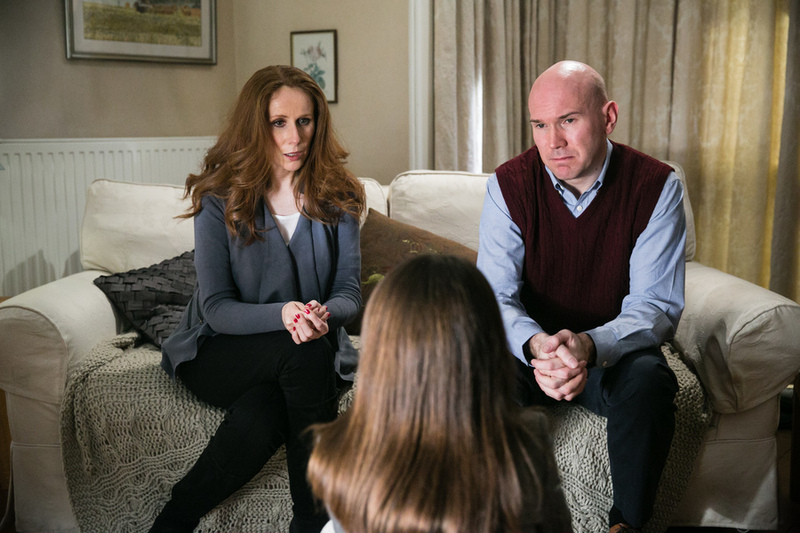 The long awaited Not Sophie’s Choice – directed by Matt Holt (David’s Fine, Social Stew, Nasty Habbits, FM) – stars Catherine Tate and Alex MacQueen, and is a soft and sincere short story of a troubled middle class couple and their attempt to break some very sad news to their 10 year old daughter, Sophie (the brilliant Skye Degruttola). Filmed and released five years ago, the awarding winning Tooty’s Wedding is written by and stars Ben Willbond and Laura Salon, with whom Ben collaborated on little seen sketch show Laura, Ben & Him for ITV2 back in 2008 (the ‘Him’ being Marek Larwood). Also featuring Daisy Haggard (Psychoville) and Matt Baynton, the short sees a young couple’s marriage hilariously hits the rocks during a weekend wedding in the country. On a completely different tangent is animated short All Consuming Love from Louis Hudson and Ian Ravenscroft (who made Gregory is a Dancer which is also part of LOCO’s collection). The one-line remit of this one says all you need to know to at least give it a curious watch: A tiny man living inside a cat gets into a sticky love-triangle.